The Escadron de Chasse 3/30 "Lorraine" has just revealed the special aircraft that will take part in the next Tiger Meet from June 5 to 16 at Landivisiau AFB, France. The group 'Lorraine' is one of the first units of the liberated France. The group originates in England in September 1940, and later evolves in Equatorial Africa, the Middle East and later Europe. The name 'Lorraine' was chosen in September 1941 during their stay in Damascus. In 1943 the squadron is attached to the RAF as 342 Sqn flying Douglas A 20. The next 2 years the 'Lorraine' is tasked with several missions, before moving to Gilze-Rijen (The Netherlands) in 1945 flying the B-25 Mitchell to assist in the Rhein Operations. By the end of 1945 the Mitchell's of 342 Squadron 'Lorraine' returned to England, and the squadron moved to Dijon as the Reconnaissance Group 1/20 flying the Mosquito. In the next 6 years the Unit moves through several North African countries an changes it designation from GR 1/20 to GR 1/31and then Night Fighter Squadron (GCN) 1/31. In July 1953 the Squadron becomes part of the 30th Wing (30e Escadre de Chasse de Nuit) and becomes the 3/30 squadron 'Lorraine'. 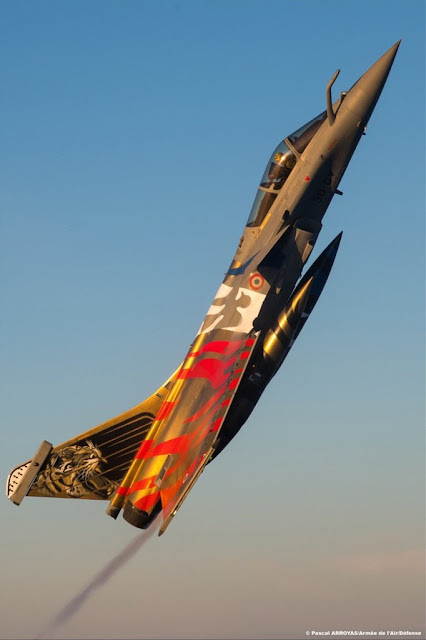 In 1961 the Squadron arrives in Reims, where in 1974 for the first time in it's history it receives a single seat aircraft, the Dassault Mirage F.1C. In 1988 the squadron becomes the Mirage F.1 Operational Conversion Unit and replaces it's single seat for to seat Mirage F.1's. It keeps on performing this task until the dissolution of the 30th wing in 1994. The Squadron stay's dormant until November 2010 when it stands up again at Al-Dhafra (UAE). On Friday June 24th 2016 the EC 3/30 returned, after a 6 years stay in BA 104 Al-Dhafra in the United Arab Emirates (UAE), to France. After a short stay in Saint-Dizier, the unit will be based at BA 118 Mont-de-Marsan. At the same time EC 1/7 'Provence' will take their place in Al-Dhafra. The SPA 162 'Tigre' (part of the EC 1/7 since the dissolution of the EC 1/12) will however not make the transition to the UAE, but has transitioned from the EC 1/7 to the EC 3/30, making the 'Lorraine' a Tiger Squadron. BA 118 Mont-de-Marsan now houses both Tiger Squadrons in the French Air Force, ECE 1/30 'Cote d'argent' and EC 3/30 'Lorraine'. 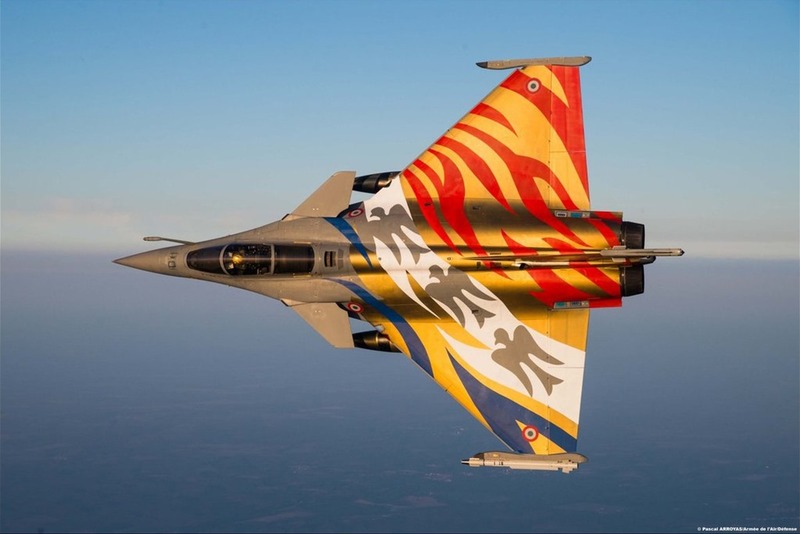 Along with the new painted Rafale over 60 aircraft are expected at next NATO Tiger Meet, check all details here.